Yoshio Sakamato (坂本 賀勇) is a Japanese game designer and producer working for Nintendo. He is best known for his involvement in the Metroid series. Sakamoto was hired by Nintendo in 1982, first working on creating graphics for the Game & Watch Donkey Kong Jr. game. After a brief stint as a pixel artist, his supervisor, Gunpei Yokoi, expressed faith in his game-design capability, stating that "If you can make pixel art, you can make a game". Sakamato then directed several games for the then-recent Family Computer, such as Wrecking Crew and Balloon Fight. 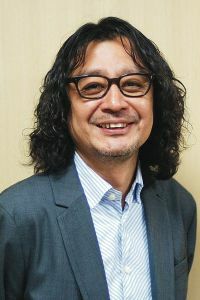 Throughout the 90s, he grew to become a key figure of Nintendo R&D 1, having an hand in the department's most popular titles such as the Metroid and Famicom Tantei Club series. Sakamoto cites Italian filmmaker Dario Argento as one of his chief influences, stating that the filmmaker's use of techniques like mood, timing and musicals cues to steer audience reaction are principles he aims to applies to his work, no matter the tone. He also cites Nintendo's non-videogame toys as an inspiration, claiming that his experience with them as a child influenced his feeling that Nintendo products need to be unique in comparison to the competition and previous products. Yoshio Sakamoto worked as the manager of Nintendo SPD Group No. 1 before being promoted to Deputy Manager of the whole Nintendo SPD group in 2012. Following the dissolution of Nintendo SPD and reorganization as part of Nintendo EPD, Sakamoto's currently works as a executive officer for Nintendo EPD. ↑ Exclusive: Metroid designer Yoshio Sakamoto speaks! This page was last edited on December 12, 2018, at 11:17.